Legal DisclaimerThe developer expressly reserves the right to make such amendments, revisions, and changes in the design of the project and the buildings and condominium units therein, that as it deems desirable in at its sole and absolute discretion or as may be required by law or governmental bodies. All features, specifications and plans are subject to change without notice. Dimensions and square footages are approximate only, based upon on surveyor’s calculations, and may vary with the actual construction of the project and redesign of the size, orientation and locations of the units and other building elements. This is not an offer to sell or solicitation to buy to residents in jurisdictions in which property transfer requirements have not been fulfilled; this website and its contents are intended for information purposes only. No government body or third party has opined on the merits or value, if any, of this project and/or the corresponding property. Any binding agreements regarding the project or the properties must be agreed to in writing by the parties thereof. All information contained in this web site is deemed reliable but not guaranteed. All properties are subject to prior sale, change or withdrawal notice. RLH Properties believes all information to be correct but assumes no legal responsibility for accuracy. PARTY LIABLE FOR PERSONAL DATA. “RLH Properties, S.A.B. de C.V.” (hereinafter named “RLH PROPERTIES”) with address at Av. Paseo de la Reforma 412, Piso 21, Colonia Juárez, Delegación Cuauhtémoc, C.P. 06600, Ciudad de México, shall hold on its own behalf or through any legal entity which is a holding company or branch office thereof with the conviction to protect personal information (hereinafter “Personal Data”) provided by the individuals (hereinafter “User”) and shall be liable for its Handling whenever obtained by the internet web site www.rlhproperties.mx (hereinafter the “Web Site”), by written means and/or by phone (hereinafter “Other Means”). HANDLING PURPOSE. RLH PROPERTIES may request and/or obtain Personal Data from User through the Web Site and Other Means for the purposes stated below; also to comply with any required legal provisions, or whenever requested by the competent authorities (hereinafter the “Handling”). In accordance to the applicable legal provisions in the United Mexican States (hereinafter “México”), RLH PROPERTIES and/or any third party who may intervene in any stage of the Handling of Personal Data shall maintain confidentiality regarding any data with such capacity. Upon access and/or log in to the Web Site, Personal Data provided by User shall have the purpose of (i) identification; (ii) location; (iii) communication; (iv) contact; (v) sending information; (vi) statistical purposes; (vii) review and attend comments; (viii) extend the invitation to participate on RLH PROPERTIES’ social media; (ix) publicity; (x) fulfill effective laws; (xi) analyze and answer employment applications; (xii) send notices regarding amendments to changes of this Privacy Notice. Unless User provides its Personal Data, services may not be accessed, however User may have access to other Services which do not require mandatory disclosure of Personal Data. CONSENT. In accordance to this Privacy Notice, access and/or log in through the Web Site and/or other means implies User’s full and unreserved consent for the Handling of Personal Data. MEANS TO LIMIT THE USE OR DISCLOSURE OF PERSONAL DATA.. RLH PROPERTIES has physical, technical and administrative security means for the protection of Personal Data provided by User. Notwithstanding the provided in the Consent section, RLH PROPERTIES shall take all actions, measures and special steps as deemed necessary to maintain the right of protection of Personal Data for minors and legally disabled. WEBSITE EXCLUSION OF LIABILITY. The Web Site may contain links, banners, buttons and/or search tools on the World Wide Net and, whenever used by User, may transfer to other internet sites owned by third parties. User’s Personal Data granted to such internet sites are not covered by this Privacy Notice and Handling shall not be liability of RLH PROPERTIES. User’s verification of the Privacy Notice of such internet sites is hereby recommended. User may find within the Web Site, pages, promotional adds, microsites, virtual stores, surveys, employment offers and other services shared with third parties and which may request Personal Data (hereinafter “Third Party Sites”). Unless otherwise provided by RLH PROPERTIES, any information regarding such Personal Data granted through Third Party Sites shall be subject to the corresponding privacy notices contained therefore. RLH PROPERTIES warns User that some services of the Web Site may include, enunciative but not limited to, discussion forums, personal internet pages, classified adds, electronic mail, chat rooms, among others. Therefore, Personal Data disclosed through such means may in some cases be accessed by third parties. RLH PROPERTIES shall not be liable for the use, publishing, disclosing and/or revealing made of such Personal Data in the above-mentioned media. User’s careful and responsible disclosure of personal information within such media is hereby recommended. transfer of personal data. Without prior consent of the holder, RLH PROPERTIES may disclose and/or transfer the Personal Data provided by User within or out of the country, to its branch offices and/or other related offices, as well as to fulfill all legal provisions so required or as may be required by any competent authorities. Also, RLH PROPERTIES may reveal, disclose and/or transfer within or out of the country any Personal Data to suppliers, sponsors, publicity managers, contractors and/or partners for commercial purposes, also as to provide statistic data to potential advertising groups, send publicity to User in accordance to its specific interests and conduct market research. Third parties receiving the information regarding User’s Personal Data shall comply with the provided herein, as well as the Terms and Conditions of the Web Site and the applicable Mexican laws. Upon registry to the Web Site, the owner of Personal Data may grant consent for the transfer of Personal Data subject to the terms provided herein. At any time, revoke its consent for the Handling of its Personal Data to end use thereof. However, it is important to acknowledge that not all cases for cancellation of Personal Data, challenge Handling or revoke consent may proceed, since due to legal obligations RLH PROPERTIES may require future handling of Personal Data. User shall take into consideration that for certain purposes, revocation of consent shall imply suspension of service or termination of any relationship with RLH PROPERTIES. Any other element or document assisting the location of Personal Data. RLH PROPERTIES shall respond User’s request in a term no longer than 20 business days as of the date of the corresponding request made to the electronic mail provided therefore. COOKIES AND WEB BEACONS. With the purposes of improving Users’ experience on the Web Site, RLH PROPERTIES may use “cookies”. Therefore, this Privacy Notice identifies “cookies” as such text archives holding information any site transfers to the hard disk of Users’ computer with the purpose of storing certain registries and preferences. RLH PROPERTIES may use “cookies” to improve understanding of interaction with User within the Web Site and the services provided. The Web Site may allow publicity or third-party functions sending “cookies” to Users’ computer. By the use of “cookies”, User is not personally identified but their computers are. On the other hand, “web beacons” are images inserted in a web page or electronic mail which may monitor a visitors’ behavior, as well as storing information regarding users IP address, browsing hours, interaction times on the Web Site, sections consulted, webpages accessed prior to accessing our own and type of engine search used. User may change its options through computer equipment and/or search engines to stop accepting “cookies” and/or “web beacons” or confirm if whether or not User accepts these. SENSIBLE PERSONAL DATA. In accordance to Mexican laws, “Sensible Personal Data” are “data which may reveal aspects such as racial or ethnic origin, present or future health, genetic information, religious, philosophical and/or moral creed, union affiliation, political opinions, sexual preference”. In the event RLH PROPERTIES requires such Sensible Personal Data from User, User shall provide express consent therefore. This Privacy Notice as well as general administration of Law made by RLH PROPERTIES shall be governed by the effective and applicable laws of the United Mexican States, therefore any dispute risen due to its application shall be held before the competent Jurisdictional Authorities of Mexico City. Last update hereof was made on August 1st, 2016. In a spectacular setting less than one hour north of Puerto Vallarta, Mandarina features One&Only Mandarina, Rosewood Mandarina and the world-class Mandarina Polo & Equestrian Club, nestled amidst the jungle along a one-mile stretch of pristine beach beside the Sierra del Vallejo mountain range. Surrounded by vistas of lush mountainsides and the Pacific Ocean, One&Only Mandarina Private Homes is a collection of 55 ultra private villas—among the first One&Only villas to own in the world. 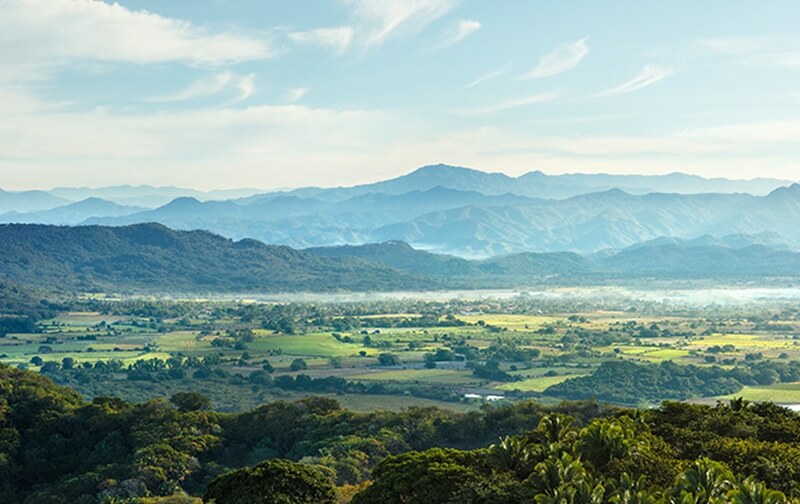 The Mandarina Flatlands is a sprawling, green landscape centrally located between mountain peaks, featuring some of the most outstanding amenities and natural wonders in the community. 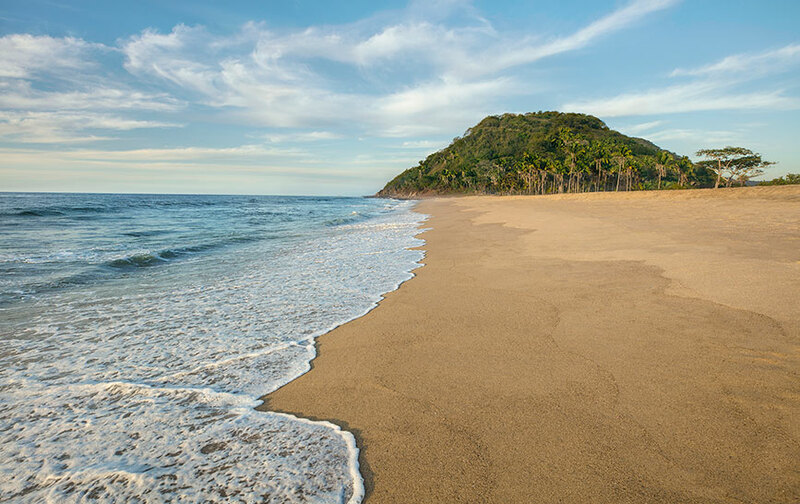 A world unto itself, Mandarina is situated along Riviera Nayarit in an alluring and remarkable oceanfront setting, offering an array of amenities for relaxation, wellness, cuisine and adventure. The villas are nestled within an exquisitely private location neighboring One&Only Mandarina. An adult-only destination perched along the mountainside, The Point captures the most spectacular sunset views in Mandarina. One&Only Spa provides an authentically holistic wellness experience and open-air treatment rooms nestled beneath the trees. Nested along the calm waters of the Pacific, One&Only Majahua Beach Club offers a setting of relaxed, casual elegance. The Kids’ Club brings the wonders of Mandarina alive, featuring treehouses, butterfly sanctuary, water activities and nature trail. A distinct, poolside lounging and dining experience, The Plateau overlooks The Jetty and the ocean beyond. Residents and guests will set off from The Jetty on their seafaring adventures and gather nightly to watch the sunset. Mandarina Polo & Equestrian Club graces the Flatlands, providing a remarkable destination for the equine-focused lifestyle. Canalan Beach Club is situated along a one-mile stretch of pristine beach ideal for swimming, kayaking and snorkeling. Adventure begins at The Outpost, the place to set off for a day exploring the trails or the jungle at Mandarina. Situated within the Flatlands, The Farm features home-grown produce and a farm-to-table restaurant. The estuary at Mandarina features a rich biodiversity and outstanding bird watching. Rosewood Mandarina will feature a distinct, residential-style hotel and a collection of private residences, debuting in 2021. Debuting in 2021, Rosewood Residences will immerse residents in nature, treating them to the Rosewood brand of award-winning hospitality. 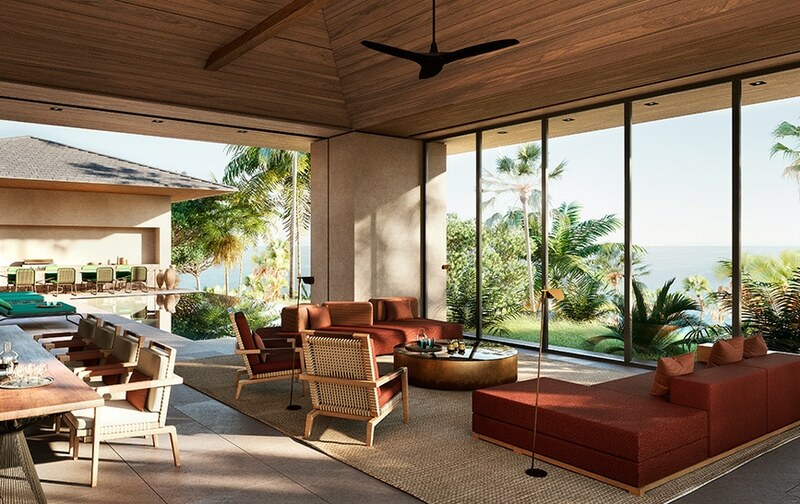 Rosewood MandarinaRosewood Mandarina will feature a distinct, residential-style hotel and a collection of private residences, debuting in 2021. The JettyResidents and guests will set off from The Jetty on their seafaring adventures and gather nightly to watch the sunset. One&Only Private HomesThe villas are nestled within an exquisitely private location neighboring One&Only Mandarina. Rosewood ResidencesDebuting in 2021, Rosewood Residences will immerse residents in nature, treating them to the Rosewood brand of award-winning hospitality. Canalan Beach ClubCanalan Beach Club is situated along a one-mile stretch of pristine beach ideal for swimming, kayaking and snorkeling. The PointAn adult-only destination perched along the mountainside, The Point captures the most spectacular sunset views in Mandarina. The PlateauA distinct, poolside lounging and dining experience, The Plateau overlooks The Jetty and the ocean beyond. One&Only Majahua Beach ClubNested along the calm waters of the Pacific, One&Only Majahua Beach Club offers a setting of relaxed, casual elegance. One&Only SpaOne&Only Spa provides an authentically holistic wellness experience and open-air treatment rooms nestled beneath the trees. Kids' ClubThe Kids’ Club brings the wonders of Mandarina alive, featuring treehouses, butterfly sanctuary, water activities and nature trail. The FarmSituated within the Flatlands, The Farm features home-grown produce and a farm-to-table restaurant. The OutpostAdventure begins at The Outpost, the place to set off for a day exploring the trails or the jungle at Mandarina. Mandarina Polo & Equestrian ClubMandarina Polo & Equestrian Club graces the Flatlands, providing a remarkable destination for the equine-focused lifestyle. EstuaryThe estuary at Mandarina features a rich biodiversity and outstanding bird watching. Forget the golf course; enter the organic kale. At luxury home developments around the world, gardens are popping up next to (or replacing) fairways.